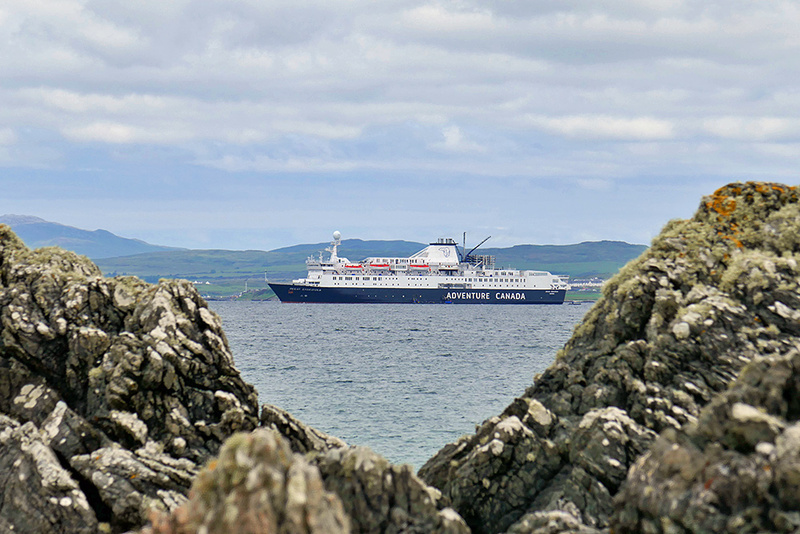 Taken with a strong telephoto lens, a closer look at Bowmore seen from Port Charlotte. 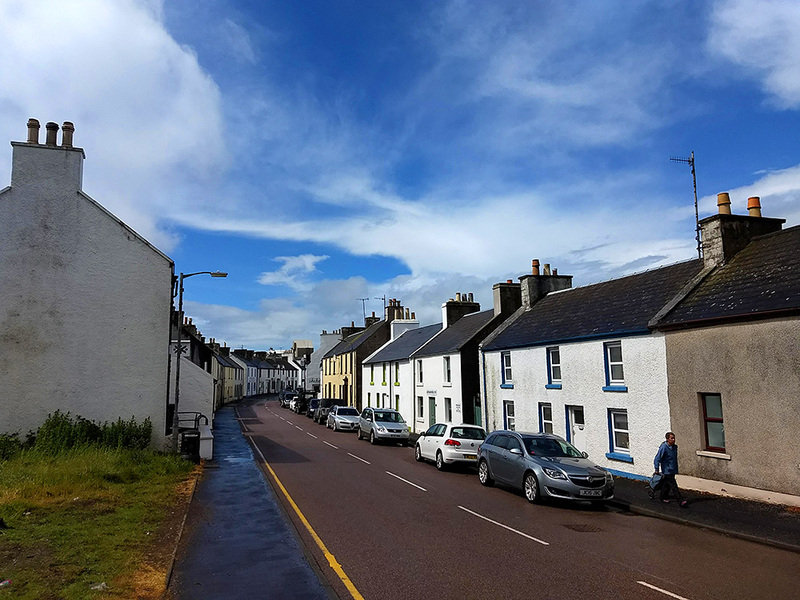 The distillery in the centre, Islay High School behind the Battery on the right. 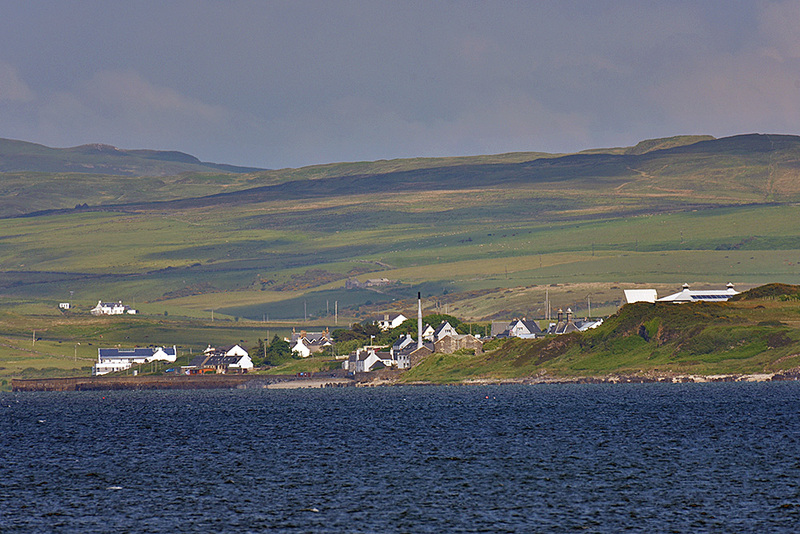 Bowmore harbour pier on the left with the Gaelic college in the middle distance behind it.